ISLAMABAD: The PML-N government on Tuesday paid Rs26.43 billion sales tax refunds to traders and exporters, which came one day ahead of former prime minister Nawaz Sharif’s proposed power-show on the GT Road. A source with direct knowledge of the matter confirmed to Dawn that the finance minister personally directed the Federal Board of Revenue (FBR) on Monday to prepare a list of claimants who will be issued a refund. That list was completed by midnight and the refunds began to be issued on Tuesday. It is expected that the full amount will reach taxpayers’ accounts within 24 hours. Business leaders welcomed the move, but pointed out that the timeline has been “synchronised with the political developments,” pointing to the GT Road march on Wednesday. The refund amount paid against refund payment orders (RPOs) of more than Rs1 million, which were issued up to April 30. Refunds against all RPOs of less than Rs1 million have already been issued on July 15. Originally, the government had announced that sales tax refunds of around Rs15bn would be issued before Aug 14. But, according to the source not only was the amount of sales tax refunds enhanced, it was also issued one week ahead of the announced schedule. In the budget speech for the year 2017-18, it was announced that taxpayers’ long outstanding demand for payment of refunds will be addressed soon and the sales tax refunds against RPOs issued up to April 30, 2017, shall be paid in two stages. PPP Senator Saleem Mandvi­walla told Dawn that the refund payments ahead of Mr Nawaz’s rally was a political move. He criticised the government for wooing traders through this decision. “The PML-N has politicised even the genuine payment of taxpayers refunds,” he added. “Sales tax refund has nothing to do with politics,” he said. 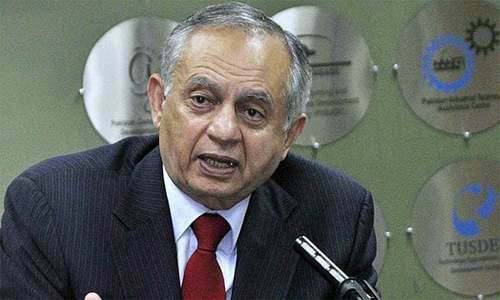 However, the payment of sales tax was a welcome move for Pakistan Federation of Chambers of Commerce and Industries (FPCCI) President Zubair Tufail. He told Dawn that the finance minister has also promised to release refunds against RPOs issued in May and June. “We are expecting that the government will release the balance refund next month,” Mr Tufail said. At a ceremony held at FBR, Mr Dar also admitted that the amount in second phase was issued ‘well before the date earlier announced.’ He said that total refund including refund issued in the first phase come out to Rs26.43 billion covering 10,439 RPOs. According to an official announcement, Finance Minister Ishaq Dar said that these refund payments would not only cover exporters but all other claimants in all sectors of economy. This would resolve liquidity problems that the taxpayers are facing, he added. 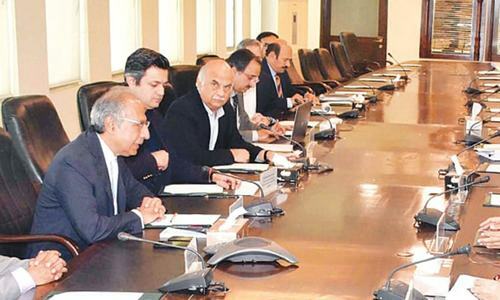 He said that to fulfil the commitment FBR is forwarding electronic payment advice to State Bank of Pakistan. Since Nov 2016, sales tax refund has been credited directly into the account of the taxpayers within 24 hours. Also apologies to business community for your past delay. This was long standing problem of traders. Nice to hear that issue has been resolved amicably. I see a change in this mans face. Thats why Traders love Nawaz sharif because he believes in No Tax theory.Generally the right wing parties in West believes in Low Theory but PMLN believes in No Tax Theory like Gulf states.IT is just to remind them that we have no oil fields to give massive Tax rebates to Traders like Guls States.If you returning the revenue back to the influential people like a bribe then the only option that we have left to run the state is through Borrowing both externally and internally. Patronage politics of the highest order!